Ashtanga Yoga explained by Mahamuni Patanjali about 2500 years ago consists of 8 limbs, namely Yama, Niyam, Asan, Pranayam, Pratyahar, Dharana, Dhyan, and Samadhi. Study of Ashtanga Yoga helps us at multiple levels, taking care of our health. Science of Yoga is science of discipline. Yama & Niyam discipline our behavior. Asan disciplines our body structure & function. Pranayam disciplines our energy system. Pratyahar disciplines our sensory pathways, which begin at sensory organs and end at sensory centers in cerebral cortex. 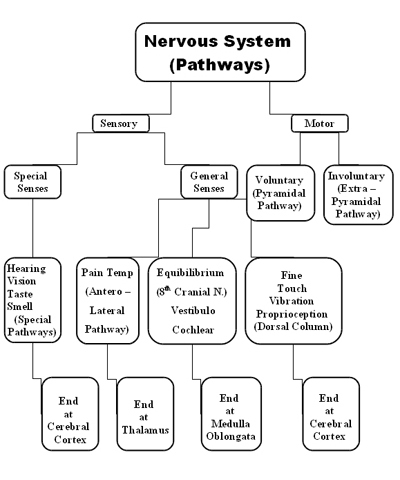 These pathways have to & fro – connections with limbic system. These connections are responsible for emotions. Dharana & Dhyan discipline our cognitive abilities and balance our emotions & rationality. 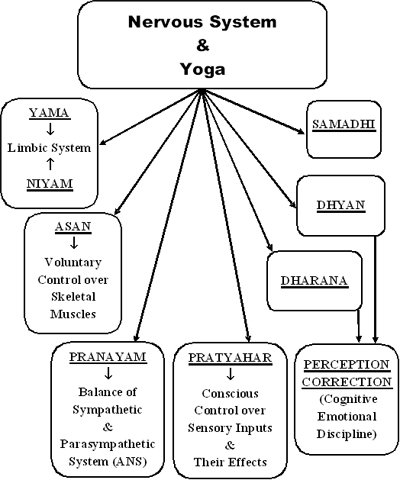 All the effects of practice of Ashtang Yoga is mediated by conscious efforts, which is a function of cerebral cortex. 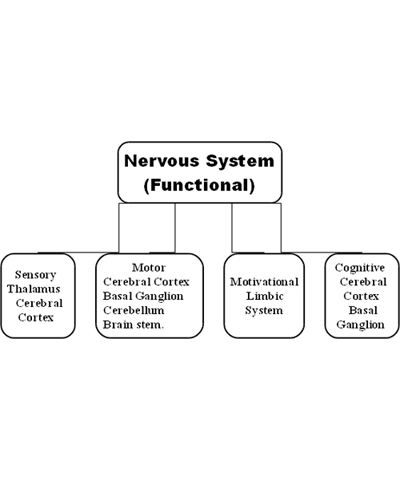 Limbic system is involved in generation of emotions arising after receiving sensory inputs. This occurs at subconscious level. 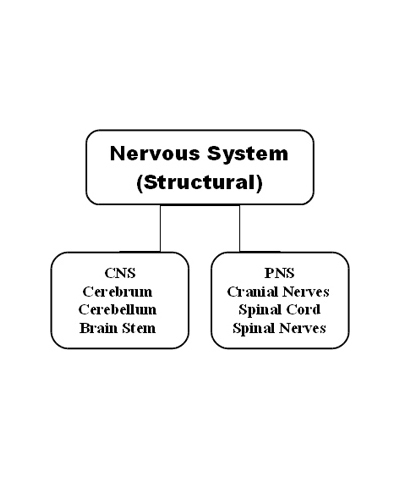 Brainstem takes care of breathing, circulation, heart function, evident in unconscious state. Practice of Science of Yoga with honesty, respect and perseverance leads to enhanced pre-frontal cerebral activity. Prefrontal area of cerebral cortex is responsible for elaboration of thoughts after receiving analyzed sensory and motor information. This can be called as superconscious level. 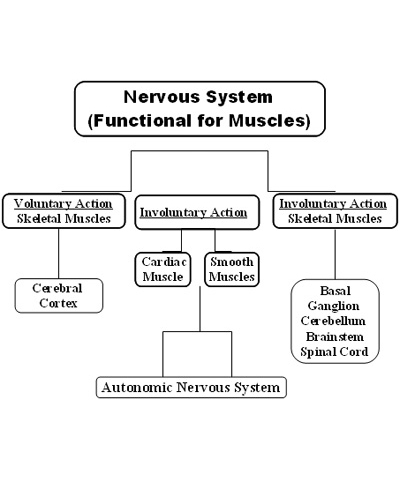 We can have a brief idea of structure & function of Nervous System from following charts.